Made in China Oxandrolone Tablets (ANAVAR) 10mgx100pills. 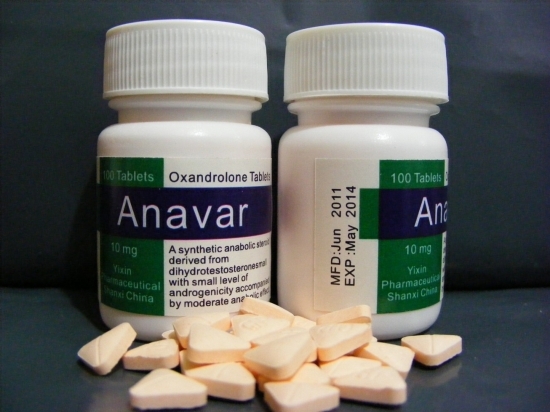 Anavar (Oxandronlone, Oxanabol) was first introduced into the realm of body building back in 1964 and was first known as Oxandrolone. Although the drug was discontinued in 1990, researchers discovered the benefits of combating the effects of AIDS, which resulted in the remanufacturing of the drug under the name Oxandrin. Since then, body builders have praised the benefits Anavar can bring to athletes in order to enhance their performances. The appeal of Anavar is the fact that it is nontoxic as other anabolic steroids are, and the minimal side effect leaves little risk of addiction and abuse. Although, we cannot underestimate the fact that steroid abuse could ultimately lead to risks of side effects, the fact that Anavar produces maximum effects when taken as directed outweighs those risks.